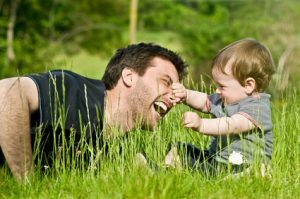 Why Should a Parent Establish Paternity of a Child? You are here: Home / Family Law / Why Should a Parent Establish Paternity of a Child? Establishing paternity can be ordered by the courts if involuntary. For many single parents having a child with their partner, paternity is often assumed. In a perfect world, the two of you stay together, raise the child, and possibly get married at some point. But, what happens when things do not go as planned. What happens if the “father” decides he no longer wants to be in the relationship and leaves? This not only affects you, but also the child. It is important when having a child, especially for single mothers, to establish paternity of the child as soon as possible. First, the child deserves to know the identity of his or her father. Regardless of how you feel about the person now or in the future, your child may want to have a relationship with this person at some point, or at least try. He or she deserves the right to be able to do this. Second, both you and the child gain legal benefits when paternity is established. If paternity is never established, it is simply your word against his. If he disappears, you are now stuck raising the child on your own, physically, emotionally, and financially. Another consideration many single mothers do not even consider is access to the father’s medical records. This may not seem like something important now, but it is vital to know this information for both the current and future health of your child. For instance, these records would indicate if there is a family predisposition to certain conditions, such as heart disease. It would also help doctors know if there are any genetic problems they need to be aware of both now and in the future. Voluntary – ideally, even if the father is not present, he is willing to acknowledge paternity of the child. If he is present, he can sign the Declaration of Paternity at birth. This is actually necessary if he wants his name on the child’s birth certificate. If he is not present, the document can be signed later, but must be done so before the child turns 18. His name can be added to the birth certificate later if both parties agree (after the document has been signed). The mother will have to sign an affidavit naming the alleged father. The alleged father will then have to be located. The father will be contacted and offered the opportunity to voluntarily acknowledge paternity. The next step would be to schedule genetic testing. If the father refuses, the court may determine his paternity by default. Once the tests have been completed, then all concerned parties will be informed of the results. Even if the alleged father is confirmed as the father by the testing, he will have the opportunity to contest the results. If he does not contest them, paternity will be officially establish in 60 days.